For some people, eating out and eating healthy can mean two entirely different things! The temptation to stop off at the nearest chipper or pig-out in a greasy spoon can be pretty overwhelming. However, thanks to Cork city’s wide range of family-owned and independent cafés, restaurants, and bistros, eating healthy has never tasted so good. Whether you’re looking for a wholesome salad lunch or some nutritious fine dining, the good people of the Rebel County most definitely have you covered. Here are six of the best restaurants for clean eating in Cork, get the goodness into ya boy! Established in 1982, the Quay Co-op is a worker’s co-operative based on Sullivan’s Quay, in the heart of Cork City. Known for its acclaimed vegetarian restaurant, in-house bakery, and wholefood shop, the Quay Co-op is one of our top picks. Clean eating in Cork has developed into a way of life for many in recent years and these lads have played a massive part in that change. The restaurant’s diverse menu includes a wide range of vegan and vegetarian starters, salads, main courses, specials, desserts, teas and coffees. The Quay Co-op also offers a selection of gluten-friendly & nut-free options, including the delectable tofu dish of the day. The Co-op sets itself apart with its superb wholefood and organic shop stocking fruit and vegetables of all kinds, organic wines, fresh bread from their in-house bakery, herbs and spices, an extensive range of gluten-free products, chilled and frozen foods, and meat alternatives. Where can I find the restaurant? Located on Sullivan’s Quay, Cork city. More info? Check out their website here. 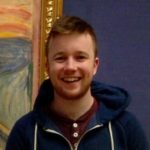 The Rocket Man Food Co. began in March of 2012 with the intention of bringing healthy, convenient food to the farmers markets of Cork. 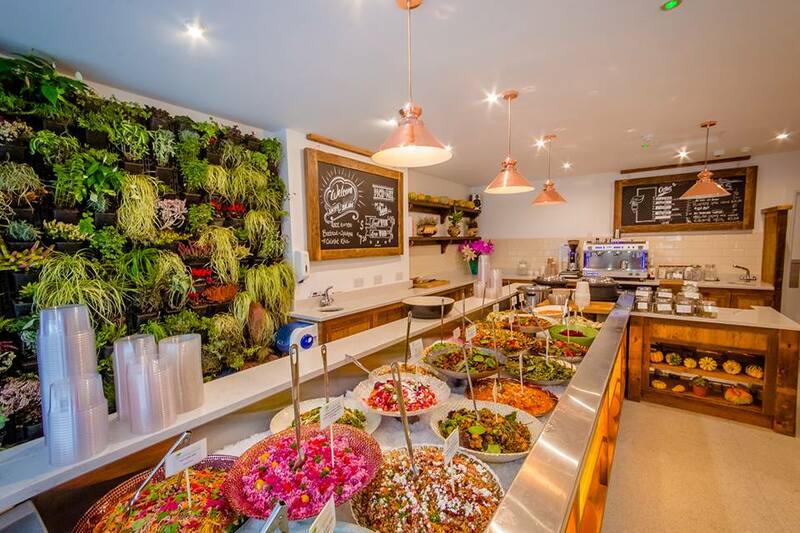 Since then they have opened a thriving business with locally sources ingredients, bringing healthy meals and clean eating to the people of Cork city. 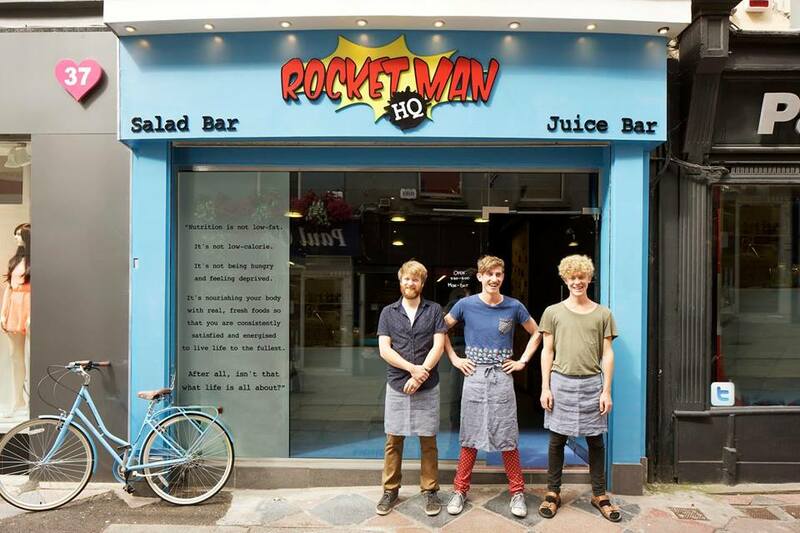 Located on Prince’s Street, you will never find The Rocket Man on a slow day, and with good reason! They continue to serve the best of local, seasonal produce in plentiful portions and at an affordable price. Specialising in nutritious salads, hearty stews, and “the tastiest falafel in the country”, there is something for everyone to enjoy. The flatbreads in particular combine pickles, cheeses, slaws and sauces to enhance the falafel, making it a completely unique offering. As the salad offerings change throughout the year, the easiest way to explore The Rocket Man is to simply call in and follow your nose! Where can I find the restaurant? Located on Princes Street, Cork city. Loving Salads is a salad and juice bar located on Academy Street in the heart of Cork city. Opening in September of 2015, this independent and wholesome business has quickly become one of Cork’s primary outlets for clean eating and healthy living. Taking only the finest and freshest local ingredients, Loving Salads combine local vegetables, seasonal fruits and the best grains from the Middle East to prepare delicious, nourishing salads with a twist! Their diverse menu offers a wide selection of salad tubs, protein selections, dips, original powerballs and gluten free cakes. For those of you who find the taste and texture of vegetables and salads difficult to manage, Loving Salads also offer a range of personalised juices, combining the healthiest of fruit and vegetables for clean eating on the go! Where can I find the restaurant? Located on 15 & 16 Academy Street, Cork city. Located in the foyer of Cork Opera House, House Café is an independent award-winning venture run by Stephen Mc Glynn and Victor O Murchu. Offering breakfast and an all day menu of light lunches and more substantial mains, the House Café specialises in home baked goods with nutrition at the heart of every dish. The café uses a selection of local cheeses, Irish butchers, organic salads and vegetables, Arbutus bread and Golden Bean coffee along with a selection of other local producers to create a rotating menu of ever-changing flavours. 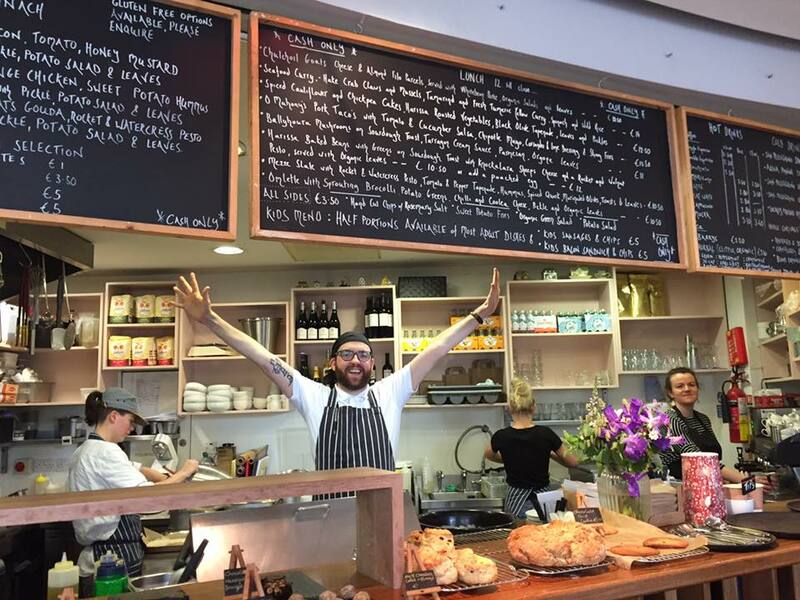 The House Café has won awards from the Restaurant Association of Ireland for its casual dining, and has also been listed in the Irish Times’ 10 Best Coffee Shops in Ireland as “An amiable, artisanally-minded gem on the banks of the Lee”. 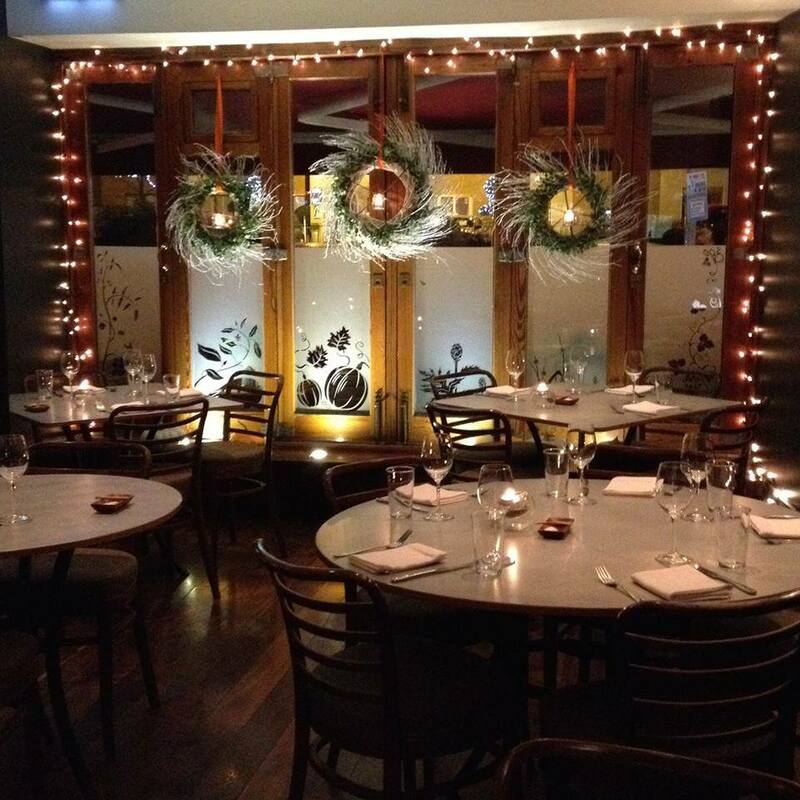 The café also acts as the perfect precursor to a night at one of the many events hosted at the Cork Opera House. Where can I find the restaurant? Located on Emmet Place, Cork city. More info? Check out their Facebook here. 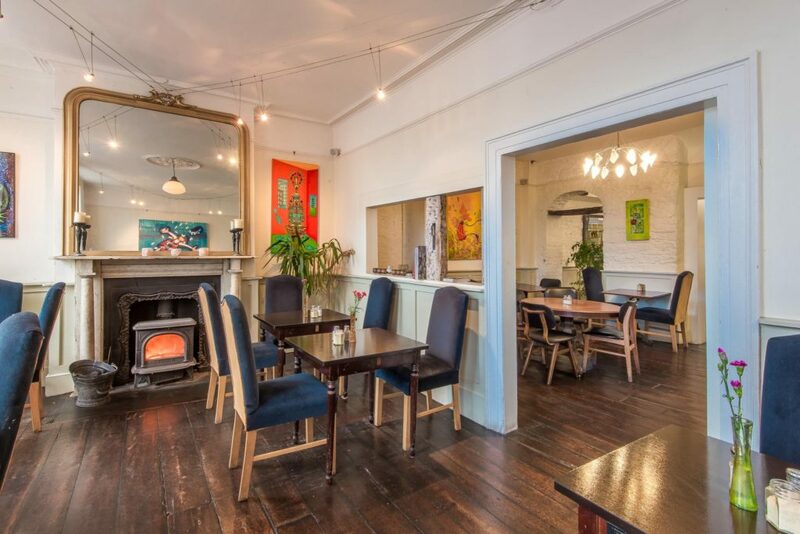 Another clean eating gem of the Rebel County is the celebrated Café Paradiso on Lancaster Quay, with its international acclaim for the innovative and groundbreaking vegetable cuisine of Denis Cotter, founder and executive chef. Emphasising rich and complex flavours, with a focus on seasonal ingredients, the Paradiso kitchen delivers an exciting and pleasurable dining experience while putting vegetables front and centre. Now something of an iconic institution in the Cork dining scene and the wider Irish food culture, Paradiso continues to evolve and develop, working with local farmers and cheesemakers to allow a strong supply of local produce to influence the seasonal menus. Highlights of their delicious and wide-ranging menu include their vegetable sushi, cucumber avocado soup, and their incomparable chilli-glazed tofu. Where can I find the restaurant? Located on 16 Lancaster Quay, Cork city. Established in 2003 as a pizza delivery shop, Uncle Pete’s has always retained its fiery determination to bring great tasting ‘real’ food to the Irish people. 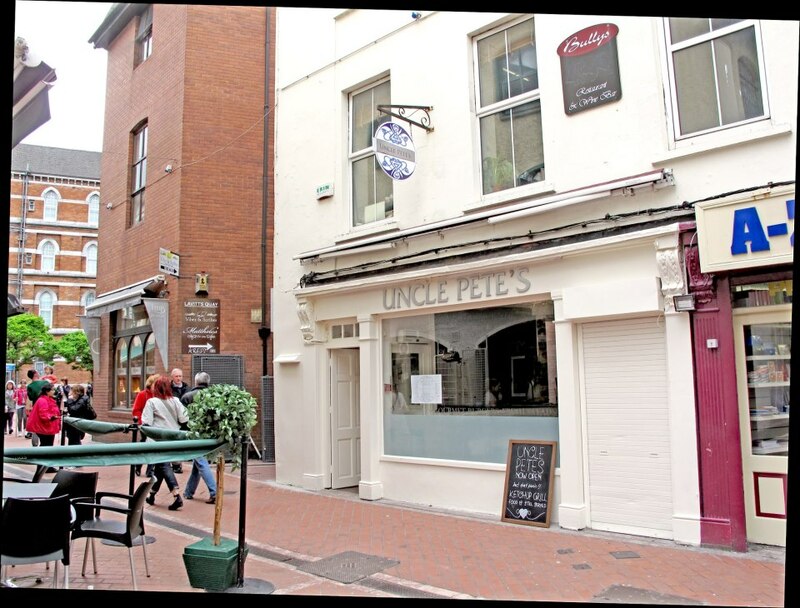 Fast forward 14 years and there are now two Uncle Pete’s in Cork city, a takeaway and delivery shop on Popes Quay and a charming little restaurant on Paul Street. It is here that Chef Aaron Buckley and his team work tirelessly to bring the renowned Italian cuisine to Cork, emulating the finest pizzerias of the USA. Uncle Pete’s menu offers a selection of freshly prepared salads with crispy ciabatta bread, as well as artisan pizzas, gourmet burgers with the finest Irish steak mince, homemade pastas, chowders, and stews to name but a few. This wholesome pizzeria is the perfect place for those looking for clean eating in Cork with a flavoursome finish. Where can I find the restaurant? Located on Paul Street, Cork city. Next time you find yourself looking for some clean eating in Cork and get a rumble in your belly, be sure to check out one of these restaurants for the cleanest and healthiest eating around!